Well, I guess winter done come a month early this year. I am freezing as I type this, and I’m inside with the heat on plus two layers. For those who know me, I’m not the skinniest fella either. When the cold’s getting to you this holiday season, why not sit back for six-hour stretches of TV shows? That’s what we do at the Powers’ Homestead. Netflix is the way to go for this. And they have so many great ones to choose from. What follows are my recommendations, categorized. 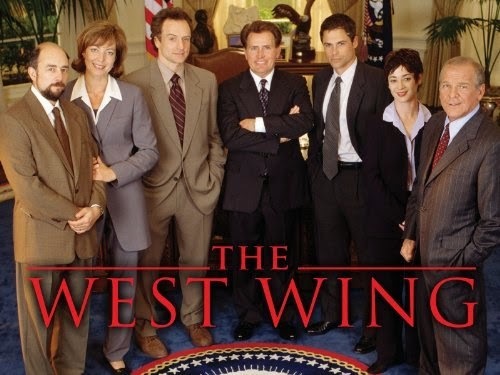 “The West Wing” (NBC, 1999-2005) – Aaron Sorkin’s political drama follows the Senior White Wouse Staff of fictional U.S. President Josiah “Jed” Bartlet (Martin Sheen). Co-starring Rob Lowe and Allison Janney, this is a powerful, incredibly intelligent program about the inner-workings of The White House. We are currently in Season 3. “30 Rock” (NBC, 2006-2012) – Tina Fey is Liz Lemon, a ne’er-do-well head writer of a sketch comedy show. She matches wits and finds a friend in network executive Jack Donaghy (the brilliant and hilarious Alec Baldwin). This is a funny, new classic, and one of my all-time favorite shows. 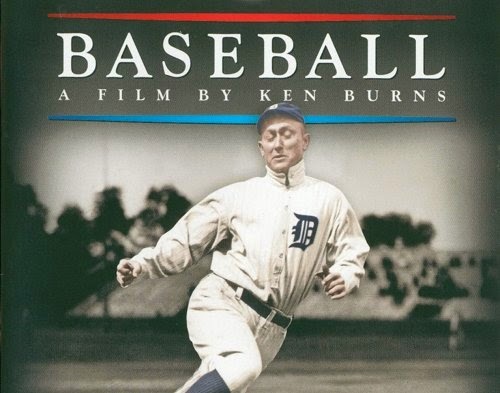 “Ken Burns’ Baseball” (PBS, 1994) – Ken Burns best work is perhaps his most lengthy and most epic in scope in a career that brought us “Jazz” and “The Civil War.” In “Baseball,” the history of our greatest game is thrown down fully with amazing old photographs and footage, brilliant and beautiful narration, and eye-opening interviews from ballplayers, entertainers, and intellectuals enlightened by our national pastime. 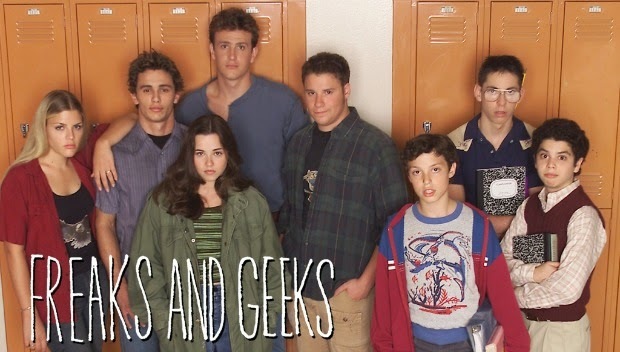 “Freaks and Geeks” (NBC, 1999-2000) – So, the people of my generation have plenty to say about NBC’s failure to keep this show running. Developed by Judd Apatow and starring James Franco and Seth Rogen (among others), it follows a group of high school students in the very early 1980s. Since its release on DVD and Netflix, it has picked up a huge cult following. You could watch its one season run in two sittings. 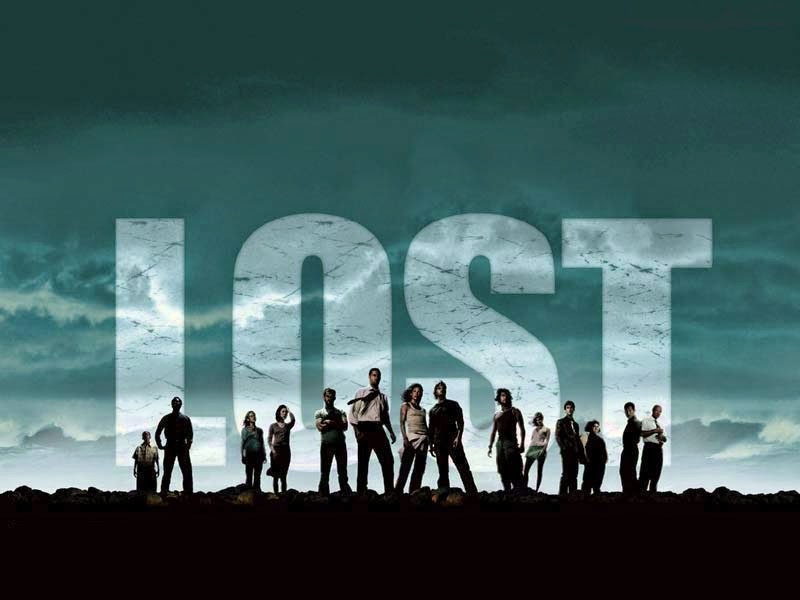 “LOST” (ABC, 2004-2010) – Those who know me, know that ABC’s “LOST” is, in my opinion, the best network TV Drama ever made. It follows a group of castaways marooned on a South Pacific island after their plane crashes. Matthew Fox leads a large ensemble cast as they navigate The Island’s twisty mysteries and mythology. It is impossible to not get hooked on this show. You may have to slog through some of the second season, which slows way down. But, boy, will you be glad you did. It is the coolest, most awesome thing ever. 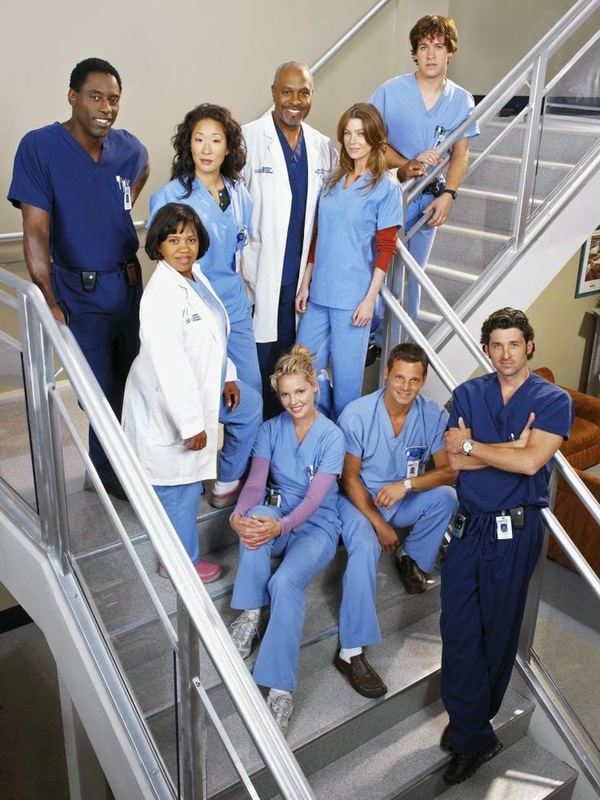 “Grey’s Anatomy” (ABC, 2005-Present) – Ok fellas, I know what you’re thinking…You actually like this show, Speaks? The truth. I do. 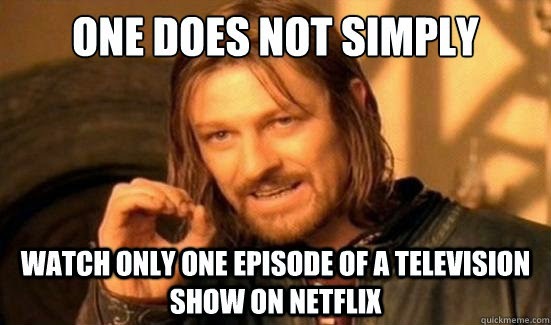 But only in the first four or five seasons. It follows Meredith Grey (Ellen Pompeo) and a group of surgical interns, then residents, at a Seattle hospital as they juggle love lives and personal drama in a high-intensity, competitive environment. The first two or three seasons can easily be binged. It has become pretty stupid lately. We stopped watching after Season 8. 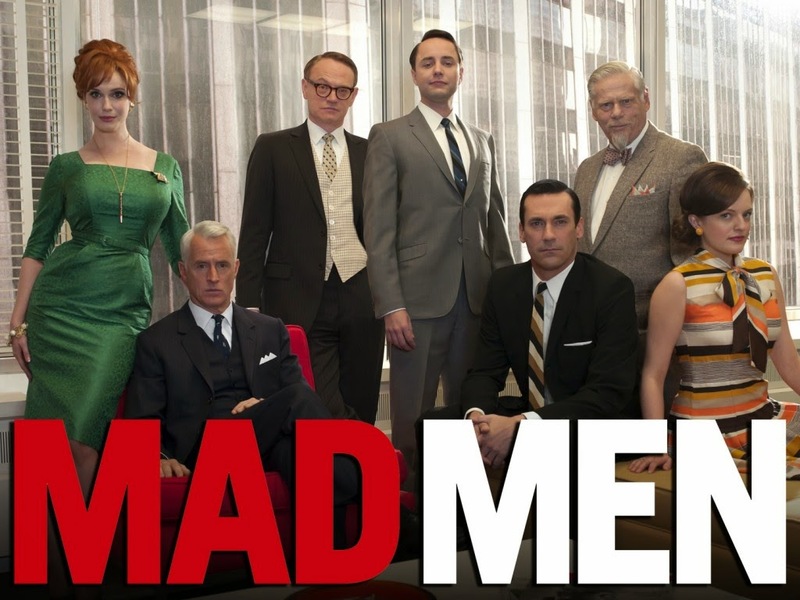 “Mad Men” (AMC, 2007-Present) – Two years ago, my wife Amanda and I, both teachers, experienced several weeks off with snow and ice and Christmas Break. Therefore, we enlightened ourselves with probably the best-made, best-written drama series of all-time. Don Draper (Jon Hamm) smokes, drinks, and sleeps his way around 1960s Manhattan as a partner in one of the city’s most powerful ad agencies. Like the show itself, Draper is enigmatic, handsome, and brilliant. Luckily, the show is not as flawed as he is. Binge now! The final season begins on AMC next spring. 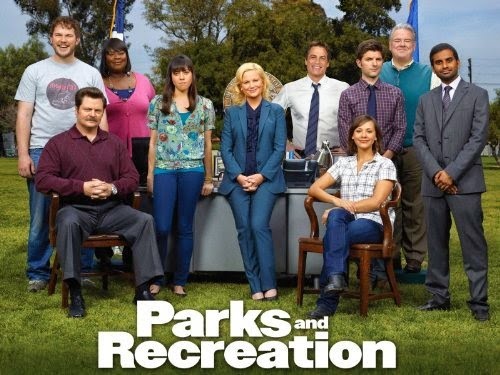 “Parks and Recreation” (NBC, 2009-Present) – After stumbling a bit in its first season as a mid-season replacement in 2009, “Parks and Recreation” made some changes and has since become a mega hit on NBC’s Thursday night lineup. The brilliant Amy Poehler stars as Leslie Knope, a driven, cheery Deputy Parks Director in the fictional city of Pawnee, Indiana. It is absolutely hilarious and features my favorite character ever in a TV show in Ron Swanson (Nick Offerman), an anti-government Libertarian, who happens to run a government agency. “Treat yo’self” and start binging. 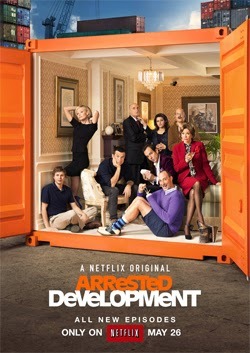 “Arrested Development” (Fox, 2003-2006/Netflix, 2013-Present) – Jason Bateman stars in the brilliantly witty comedy that got the unexpected, undue axe from Fox during its third season. For years, fans like me begged for more comedic brilliance. Finally, last year, Netflix bought it and produced a fourth season with the original cast. Pure genius. And there is more in the works. Who knows when though? Must watch! 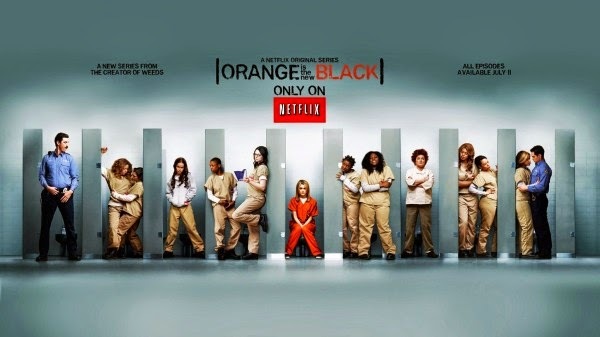 “Orange is the New Black” (Netflix, 2013-Present) – Unseen by me but gaining much steam (and Emmy Nominations) as it heads to its third season, it is the story of Piper Chapman (Taylor Schilling), a woman in her thirties who is sentenced to fifteen months in prison after being convicted of a decade-old crime of transporting money for her drug-dealing girlfriend. 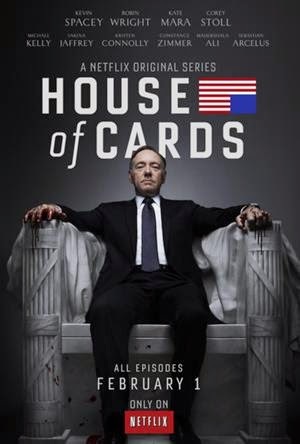 “House of Cards” (Netflix, 2013-Present) – Can’t wait to get into this one! Kevin Spacey plays a Congressman working with his equally conniving wife to exact revenge on the people who betrayed him. Political intrigue? Speaks is intrigued. And, like, the previous title, this one can’t seem to stop winning Emmy Nominations. “Breaking Bad” (AMC, 2008-2013) – Haven’t gotten around to it, yet, but it’s most-likely next. This show has pretty much swept the Emmys in the last few years. Bryan Cranston stars as terminal-cancer ridden high school chemistry teacher, Walter White, who begins a career as a meth-cook and eventual kingpin soon after the diagnosis is made. Do the right thing this winter. Stay in and catch up with some great TV. That’s what I’ll be doing when I’m not at the movies. Yeah. This is years worth of binging. A list for recommendations for readers of my newspaper column. I freakin' love Modern Family. My wife and I just rifled through the whole thing and are caught up now. We did the same thing with Parks and Rec last year. Ron Swanson is, like I said, my favorite TV character ever after John Locke from Lost. West Wing is great but super slow and deep. Hard to binge on, but brilliantly written. We do a lot of TV at my house. My wife is more of TV person. She doesn't always get down on a lot of the movies I watch.